According to a study conducted by the Center for Exhibition Industry Research (CEIR), business-to-business trade shows are viewed as the second-most-important marketing and sales tactic for many businesses. And the hardware industry is no exception. A customer who ordered a boat learned that its delivery would be curbside. The boat company tells its customers to make arrangements for unloading boats when they’re delivered. ArcBest carrier ABF Freight® was delivering the boat, scheduled for a Monday. The customer’s husband arranged to take the day off work and to have his son there to help unload it. When the delivery date arrived, the customer called the local ABF Freight service center to confirm the delivery and to get an idea of when it would be delivered. Shortly after 1 a.m. on a January night in 1955, two Arkansas Motor Freight Lines employees rescued people from a burning building. While standing on the dock at the Pine Bluff, Arkansas, service center, dock worker Jimmie L. Barbre (pictured) and road driver C.F. Waters saw flames “shooting skyward” from a row of buildings a block away. They called the local fire department and then ran to the scene of the fire. Have you ever noticed diamond-shaped signs on the back or sides of a semi-truck trailer and wondered what they were or why they were there? These colorful labels are known as hazardous material placards, or HAZMAT placards, and they provide details about what kind of cargo the truck is carrying. The United States Department of Transportation (DOT) requires these HAZMAT signs when moving more than 1,000 pounds of hazardous cargo within the U.S. and on some hazardous commodities regardless of weight. In 1962, ArcBest Technologies (then known as Data-Tronics) was organized. 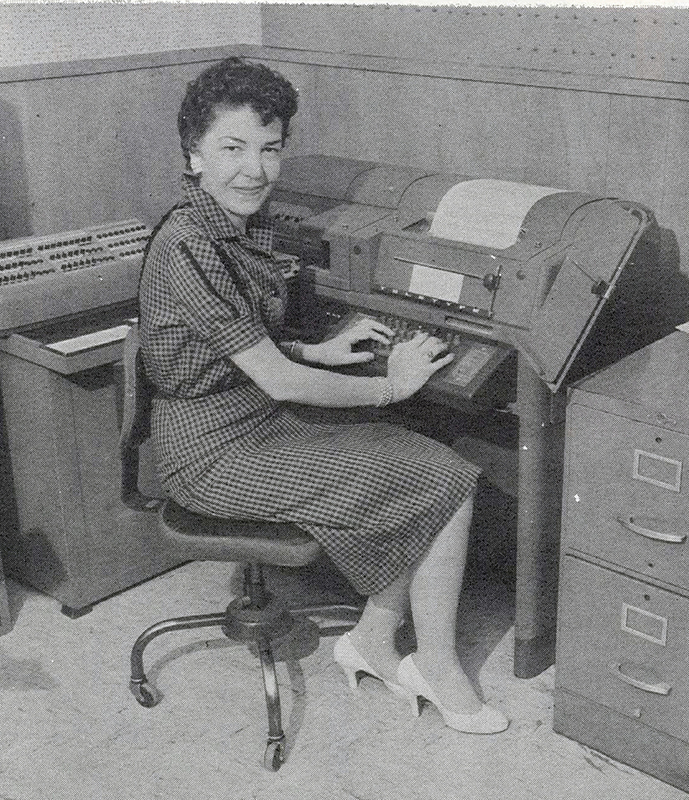 It employed 10 people who worked using an IBM 4K 1401 Card System Computer. Knowledge is power, and good communication almost always makes things go more smoothly. That’s the case with a corporate move, too. Whether it’s an employee’s first move or fifth, they can do some simple things that will help streamline the process. The ArcBest corporate moving team has compiled nine quick tips designed to help transferees have a good experience. A move that goes well can make your job easier. When a FleetNet America® customer’s truck began having issues with the oil pressure, they called Senior TMcare® Account Representative Stephen Inman for assistance. The truck was making an unusual ticking noise and the oil pressure dropped whenever the truck came to a stop. A tow truck took the truck to a dealer for repairs. A new system aimed to improve “the company’s efforts toward efficiency and expediency” was announced in 1959. ArcBest, then known as Arkansas-Best Freight System, told employees about the installation of the 83-B1 Automatic Teletypewriter System. The American Telephone and Telegraph Company installed the equipment in 14 major service centers in June 1959. July 2017 trade shows taking place in the U.S. If you’re a supplier, trade shows can be great venues to market your products. They can also serve as a space to generate leads and learn about new trends in the marketplace. Trade shows can be beneficial for attendees as well, as they offer education and training opportunities. Plan your summer trade show schedule by reviewing this curated list. In 1963, ArcBest (then known as Arkansas-Best Freight) held export-import seminars in Columbus, Ohio; Chicago, Illinois; Kansas City, Missouri; and Fort Smith, Arkansas.